Okay, I don’t do this very often, but maybe I’ll start. Say, once each month. “Strength of Stone” appeared in the May 2013 online issue of Sorcerous Signals and in issue 18 of Mystic Signals in print. In SorcerousSignals, it appeared with the teaser line of “Generations after the Bright Ones abandoned the great stone city, the descendants of the servants they left behind discover a dark fragment of their past.” The artwork, a stunning piece by Holly Eddy (whom I wish I could find a website for), beautifully encapsulates the story without actually giving anything away. Mystic Signals 18 is still available on Amazon, collecting all of the stories from that month of Sorcerous Signals and the previous month of The Lorelei Signal. 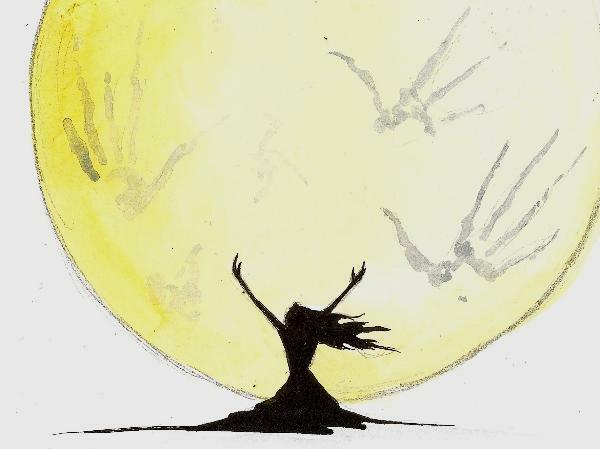 You can read my story (along with other great tales) online for free, and I absolutely encourage that. 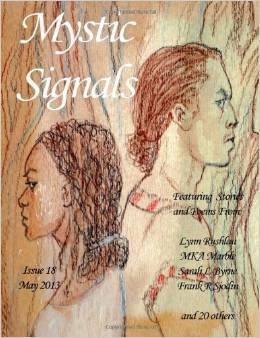 But if you really like it (or something else you read on the same site), I’d encourage you to think about buying the issue of Mystic Signals. No, I won’t get paid anything extra, but the publisher will have that extra incentive to stay in business, and maybe I’ll have a story that fits there again someday if they do.